Businesses are turning to machine learning platforms in their fight against financial crime. Boston, March 21, 2019 – Machine learning platforms are an important technology that businesses are turning to in their fight against fraud and money laundering. These systems represent the next generation of detection and mitigation and provide a way for businesses to harness one of their greatest assets—their customer data—and apply advanced analytical techniques that can evolve with the rapid pace of financial crime. 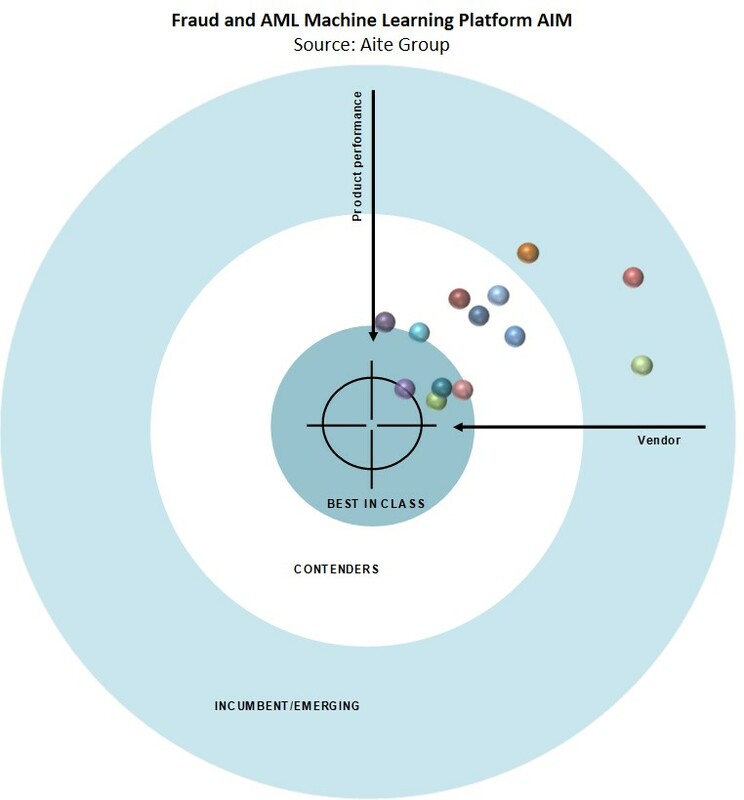 Leveraging the AIM, a proprietary Aite Group vendor assessment framework, this Impact Report evaluates the overall competitive position of 13 vendors, focusing on vendor stability, client strength, product features, and client services. This report evaluates ACI Worldwide, BAE Systems, Bottomline Technologies, Brighterion, DataVisor, Featurespace, Feedzai, FICO, Nice Actimize, SAS, Simility, ThetaRay, and ThreatMetrix, and it profiles Risk Ident. This 88-page Impact Report contains 18 figures and 24 tables. Clients of Aite Group’s Retail Banking & Payments service can download this report, the corresponding charts, and the Executive Impact Deck. This report mentions ABN Amro, Accenture, AGS Nasoft, Ally Bank, Capco, Chime, Citibank, Danske, Deloitte, Deutsche Telekom, DIS Group, Discover, Elavon, Entercard, Equifax, everis, Finacle, First Data, FIS, HCL, IBM Japan, Icon Solutions, Infosys, Itau, Leumi Card, LexisNexis Risk Solutions, Lloyd’s, Mastercard, Matrix, Morgan Stanley, NCR, Network International, OCBC, OfferUp, Otto Group, PayPal, Ping An Insurance, Pinterest, PwC, Q2 Technologies, Republic Wireless, Safran Morpho, Stream IT, StubHub, TSYS, UBS Card Center, Unisys, U.S. Bank, Worldpay, Vocalink, Vodafone, Westpac New Zealand, and Yelp.